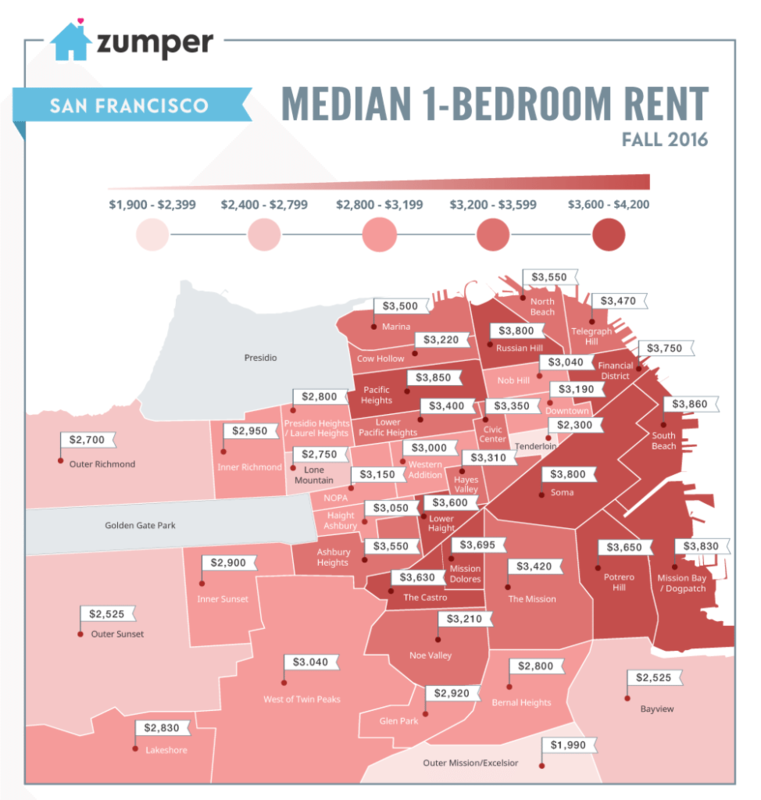 Infographic: How Much Are One-Bedroom Rents In San Francisco? South Beach ($3,860), Pacific Heights ($3,850) and Mission Bay–Dogpatch ($3,830) were the most expensive neighborhoods to rent in heading into the fall. A few hundred dollars behind the top hoods, Russian Hill, SOMA and the Financial District were notably pricey areas as well. Mid-range priced rentals could be found toward the western portion of the city and include Haight Ashbury, NOPA and West of Twin Peaks.